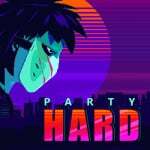 A new Switch eShop listing has revealed the original Party Hard game published by tinyBuild is arriving on 22nd November for $14.99. In the game, you take on the role of an individual who is tired of noisy neighbours holding loud and outrageous parties. Instead of contacting the law, the character decides to take matters into their own hands by killing off the partygoers one at a time with a trusty knife. The action takes place in semi-procedural environments and is all about putting an end to the good vibes in the most unique ways possible. Rather than causing a scene, the game has you silently picking off unsuspecting victims. In total, there are 19 unique levels, five playable characters and multiple special events to help shut the party down. The title was first released in 2015 on PC, followed with its original console release in 2016 and earlier this year in February was announced for Nintendo Switch. Take a look at the official Switch trailer above and tell us in the comments if you'll be bringing the party to your own system when it arrives later this month. Will it feature Andrew W.K.? Kinda tasteless premise, but for those who are tired of their loud and always partying neighbours, it might be a satisfying experience. An extremely tasteless premise. I mean, you could do similar things in say, the Grand Theft Auto games (you can massacre a club full of guests), but that was not the aim of the game, nor was there an incentive to induldge in such behaviour. The subject matter and "art" style of this reminds me of V-Tech Rampage, the amateur game that was released (to much controversy) shortly after the Virginia Tech shooting. I think people are being a bit oversensitive about its theme. Probably a knee-jerk reaction because of what the news is constantly filled with nowadays. I've seen a let's player play a level or two of this and it's really just a tongue in cheek 2d stealth game. Nothing that serious. The only off thing about this for me is the price tag. 15 bucks seems like a lot for what I saw. Which really wasn't that impressive. Man everyone takes life and gaming too seriously on this thread! It looks like a bit of fun, something you can't do in real life and I can imagine it's satisfying. Except £15 is too much, are Nintendo enforcing that price on Indies these days? Wowsers! Hard no from me. Awful premise. Somewhat surprised Nintendo allowed it on the eshop. Fantastic premise, kill them all! Sorry had to go extreme to try to average out this silly comment section. Great dark humor but only ok gameplay unless you really enjoy stealth. I won't double dip but it is fun. Big difficultly spike after the first few levels though. Watched the video looks ok. Might pick it up on sale. I wanted to try this one out a while back on Steam but the more I heard about it the less interested I became. The aesthetic of the game also looks ripped straight out of Hotline Miami,which doesn’t bode well for the originality of the game. On that note, would love HLM to come to Switch but they need to redesign the controls for the game pad. Playing it on the computer with the Xbox controller was a nightmare because it had tank controls instead of those implemented in twin stick shooters like Enter the Gungeon. Yesterday's Smash article already used "Get Ready" on the title. Played to bits on the PC and loved it to bits. Excellent game hopefully they'll release the second one as well. Looks like one I'll probably grab when it goes on sale, but then I'm a fan of stealth and dark humor. Independent on it being tasteless or not, seems boring. Weak gameplay. The price is ridiculous, it was half of that three years ago on Steam. The idea is cool. A lot of games are about killing a lot of enemies or people in a loud and indiscreet manner and then some require you to kill exactly one guy (or none) in a stealthy manner. A game in which you need to kill everyone and not get caught in the act is a great blend of the two. I did have my fun trying to do that in Hitman, but that game wasn't designed for that. That said this game is a few years old and has been on sale on Steam several times now. Also had Twitch integration, for what it's worth. Hilarious, but I doubt I ever get around to playing something like this.